CBD has long been recognized for its health benefits, and studies have proven the health benefits of CBD to be notable. It is for the same reason that men are becoming more interested to try CBD out for themselves. But before heading to a local and certified medical dispensary, you might want to check out the following for its benefits and risks so that you can stay on the right track. Cannabidiol (CBD) is one of the main cannabis compounds that offer a handful of medical and health benefits. But while it does, CBD doesn’t have psychoactive effects, unlike Tetrahydrocannabinol (THC). In this case, it won’t make you feel high or ‘stoned.’ In fact, CBD can even lessen the psychoactive effects of THC. And for its less or non-euphoric effects, it is preferred by patients looking to feel relief from seizures, pain, psychosis, anxiety and spasms. CBD is directly derived from the hemp plant even if it is an important component of medical cannabis. (Hemp is a cousin of marijuana.) And based on a World Health Organization report, Cannabidiol doesn’t lead to dependence or abuse unlike THC. And until this time, there is no CBD related health problem associated with its use. One of the most significant of all is reducing risk of obesity and diabetes, according to certain studies. In fact, many pointed out that those who regularly used cannabis had a lower body mass index (BMI) compared to non-users had. CBD works by helping the body convert white fat into brown fat, which encourages proper sugar metabolism and noatherogenesisrmal insulin production. So in the near future, you might be able to see more emerging and prominent data on how insulin regulation can be aided by cannabinoids, leading to a potential breakthrough in terms of Type II diabetes and obesity prevention. CBD is also known to help in maintaining brain health and creating a powerful barrier against degeneration and trauma because it is neuroprotective to regulate and maintain brain health. For one, it can improve the mitochondria’s efficiency and remove damaged brain cells. Cannabidiol and its antioxidant compounds also reduce and prevent glutamate toxicity. Cannabis has analgesic effects and the ability of interacting with the immune system and brain receptors in order to alleviate pain and reduce inflammation, making it an effective remedy for arthritis and joint pain without the side effects associated with mainstream pain medicines. 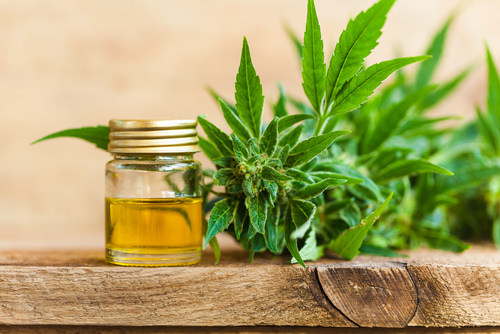 Based on a study published in The New England Journal of Medicine, CBD could prevent seizures among young Dravet Syndrome patients who experienced drop in seizure episodes by an average of 38.9%. Cannabidiol can also promote bone health such as for osteoporosis prevention. CBD can also promote and speed up the healing process of a fractured bone aside from strengthening it. Heart disease is a prevalent condition in the world and one of the leading causes of death, too. The American College of Cardiology also stated that it is the most common condition among seniors. CBD can help prevent a heart disease because it can be a natural treatment for high blood pressure, one of the leading causes of a heart attack and stroke. In addition, CBD has antioxidants that can deter cell death due to free radicals and can reduce heart inflammation. Bottom line, CBD can prevent heart cells’ death, deter inflammation and reduce high blood pressure, leading to a healthier heart and preventing heart conditions. Anxiety affects a huge number of people in the world, and some issues such as posttraumatic stress disorder, obsessive-compulsive disorder and social anxiety are also becoming common now than ever. But how can CBD help in treating anxiety? Here is the answer. It works by interfacing with the endocannabinoid system of the body. This body system is responsible for the optimal function of different bodily systems regulating mood, memory, and appetite and pain perception. But one of its main purposes is on stress management. Cannabidiol has the ability of communicating with the body’s gamma-aminobutyric corrosive (GABA) as well. How does GABA work? Its main function is to transfer a message from a neuron (brain cell) to another. This message can be ‘stop pushing,’ telling the body when it’s the perfect opportunity to shut down. And as a large number of brain cells react to this message, you can experience reduced anxiety and stress and relaxed muscles. It’s important to find the right strain for anxiety. Ask a marijuana doctor for a suggestion for non-psychoactive strains. Perhaps one of the main benefits of CBD for men’s health is on pain relief. Based on certain studies, cannabinoids can help in modulating pain because it can deter or inhibit neuronal transmission happening in the body’s pain pathways. In fact, a study to find in the Journal of Experimental Medicine revealed that CBD could suppress neuropathic and chronic inflammatory pain in rodents without leading to analgesic tolerance. Based on the same study, the non-psychoactive components, aside from CBD, could be a promising chronic pain treatment. CBD can have many potential benefits, but of course, it can also have downsides. It’s important to consider every possibility before diving into using CBD yourself.